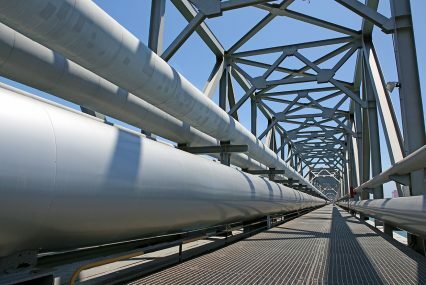 Construction work on the Tapi pipeline has begun, with an inaugural ground-breaking ceremony taking place in Turkmenistan this week. The project is supposed to provide a corridor for gas coming from Turkmenistan’s Galkynysh field to reach energy-starved Afghanistan, Pakistan and India. The consortium in charge of the project’s construction was formed last year with the Asian Development Bank’s (ADB) support. It comprises state-owned Turkmengas, Afghan Gas Enterprise, Inter State Gas Systems, GAIL (India) and Galkynysh Pipeline Company. The project is estimated to cost around US$10bn, although the total cost will only be determined upon completion of the detailed design and the procurement of long-lead items. “This is a large project which will require a strong coalition of financiers. The consortium will engage financial institutions to arrange the necessary financing ,which is likely to be a mix of equity and debt financing provided and/or credit enhanced by multilateral, regional and bilateral development agencies, export credit agencies and commercial financial institutions,” Chin Choon Fong, ADB’s senior advisor for Central and West Asia department, tells GTR. To date, the ADB has already approved six technical assistance operations amounting to US$4mn for the project and, according to the bank, advanced discussions are underway for more entities to take up a stake in the near future. However, potential investors have been discouraged by Turkmenistan’s government’s opposition to foreign companies owning stakes in the project. Security concerns related to the high political risk of the territories along the pipeline’s path are also casting insecurity around the project’s completion, which is ambitiously set for 2019. According to the Council of Foreign Relations, the pipeline has been a focus of US policy to contrast the influence of Russian and Chinese investments in the region. Dubbed as the ‘peace pipeline’ for bringing together rival countries like India and Pakistan, the project would also enable Turkmenistan to diversify its exports away from China. The central Asian country is home to the world’s second-largest deposit of natural gas. The Tapi pipeline is expected to run through 1,814km and have the capacity to export 33 billion cubic meters of natural gas annually from Turkmenistan over a 30-year period. India and Pakistan would receive around 40% of the gas each, leaving the rest to Afghanistan.